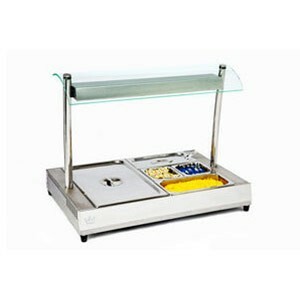 What better way to display and serve chilled & ambient foods than the new range of Vista cold servers from Catering Ideas? 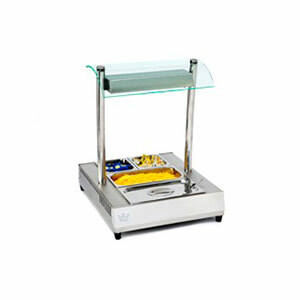 If you need to serve cold toppings for potatoes; salads, side orders or garnishes, they can now all be served from these stylish and highly practical counter top units. 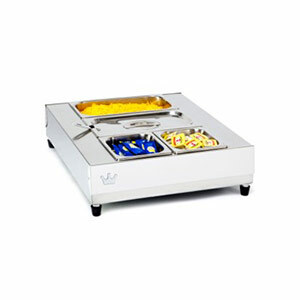 The new Vista Cold Server is the perfect complement to our Vista oven and Hot Food Display. 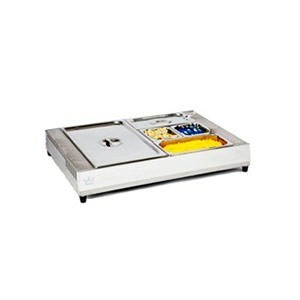 The unit can be supplied with or without an illuminated overhead gantry, but if you want the option of total flexibility the gantry unit works just as well unlit. There’s also the option of a factory fitted sneeze screen if you require it. And best of all the Vista Cold Server is designed to match all the other Vista server units to provide a complete practical solution. 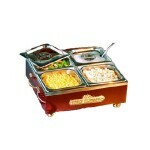 SKU: N/A Category: Cold Server.